What had seemed like a bunch of fallen logs from the outside slowly resolved itself into a series of tunnels that seemed lined with the castoff boards from a thousand cheap construction projects. The further she walked, the more confusing the passages became. At last she came to a crossroads. This is the work of Brazilian artist Henrique Oliveira, whose work is profiled this week in Fast Company Design. 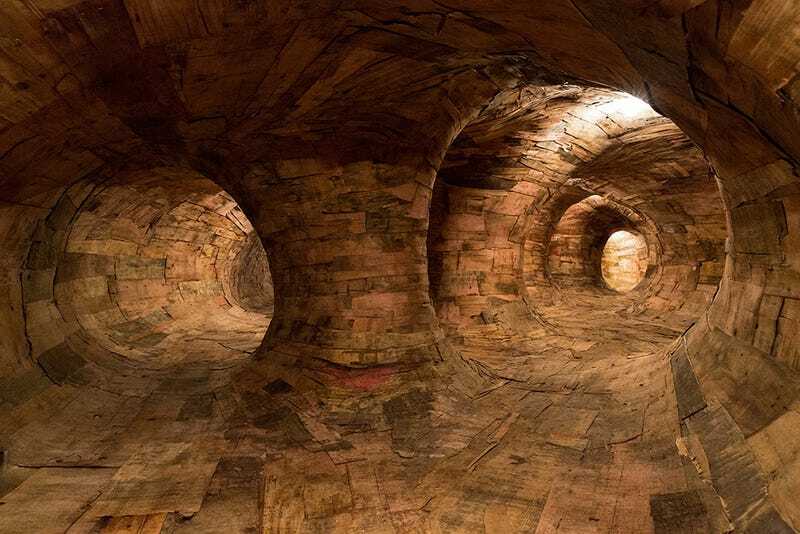 Below you can see what this incredible walk-in sculpture looks like from the outside. You can see more of Oliveira's work on his website.